Bay Area Medical Academy (BAMA) provides healthcare career training created in partnership with employers. We prepare individuals from different socio-economic, cultural and educational backgrounds for careers working in the healthcare industry. BAMA’s goal is to serve its students and the medical community through quality academic instruction and job-oriented, skills-training. We maintain a student-centered philosophy and use both traditional and innovative means to train our students. Bay Area Medical Academy is committed to the success of its students, believing that education is the best way to transform people’s lives. The BAMA Medical Assisting with Phlebotomy Program provides students with a comprehensive foundation in clinical and administrative skills necessary for working in the medical field. 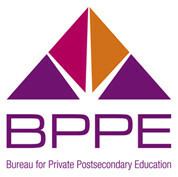 Our Program prepares students for 3 certifications. Learn more. The Pharmacy Technician program prepares students for entry-level work in retail and hospital pharmacies. Students who complete this program are prepared to take national certification exams offered by the Pharmacy Technician Certification Board (PTCB). Learn more. 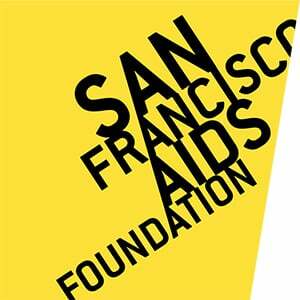 Our Phlebotomy Technician Course is one of only two programs in San Francisco approved by the CA Department of Public Health for CPT-1 certification. It consists of two segments: classroom training, including both lecture and lab, and clinical externship. Learn more. This American Heart Association course is intended for healthcare providers taking BLS CPR for the first time, or those whose certification has expired. Learn more. Curious about classes? View our Class Calendar! Bay Area Medical Academy provides students with the hands-on training, practical experience and industry support it takes to prepare you for a rewarding and successful career in healthcare. Smaller School – We provide a nurturing learning environment where every student receives personalized attention. Our staff, instructors, and administrators know every student by their first name. Quality Instructors – Our courses are taught by a knowledgeable staff of registered nurses, clinical laboratory technicians and other healthcare professionals, each with more than twenty years of experience. Employer Partnerships – Bay Area Medical Academy is a leader in Healthcare Workforce Education in the Bay Area. We are a talent supplier to medical facilities in the area and maintain strong ties with the medical community that we serve. Ongoing Career Services – Our Career Services Coordinator will meet with you to identify your short and long term career goals. 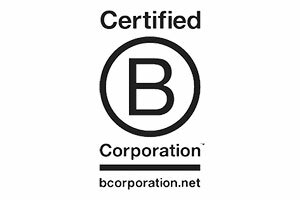 Certified B Corp – B Corporations are a new kind of corporations for a new economy. They create higher quality jobs and improve the quality of life in our communities. Bay Area Medical Academy is a talent pool for medical facilities in the Bay Area, preparing students with licensing and certification for the healthcare field. We help with everything from resume and interview assistance to direct job referrals and leads. Students and graduates receive ongoing assistance from the moment they join BAMA. Book a campus tour at Bay Area Medical Academy to meet some of our students and instructors and get a feel for what it’s like to be part of the BAMA community. Bay Area Medical Academy has been granted accreditation in institutional compliance with the criteria of the Accrediting Council for Independent Colleges and Schools (ACICS). I had a great teacher and classmates. The mix of lectures and labs was perfect. One Medical Group has officially offered me a full-time phlebotomy position. I am super excited to start a career with this company. Thank you so much for all your help. I'm so happy right now -- LabCorp hired me as a phlebotomist. Thank you very much for all your help. Career Services is awesome. I have good news to report. I’m now employed at Quest Diagnostics and IMS Paramed. I couldn’t have done it without Career Services and the employer spotlights you host. Thank you. Thank you so much for your jobs search help. It was beyond what I expected. I just completed my second week as the lead lab assistant at Palo Alto Medical Center. I’ve got nothing but love for Career Services – thanks for everything. The instructor is amazing. She keeps the class entertained. And she helps prepare you for your externship by sharing her own pharmacy experiences. I loved the amount of hands-on training. I quickly put into practice what I learned in class. The training gave me first-hand pharmacy technician experience before I even went on my externship. I shadowed a pharmacy technician class in progress, and immediately fell in love with how the classroom was set up like a pharmacy. The curriculum, hands-on experience, and instructor's lecture style was the best fit for me. BAMA's a great choice. You graduate a Nationally-Certified Medical Assistant. You are a Nationally-Certified Phlebotomist. You're a Certified EKG Technician, and they will connect you to take the State board exam. Go to BAMA. You have the opportunity to just grow and move up and just keep going. I liked the hands-on training best. The training in class was set up to give you the experience of working in a doctor's office. You're trained to take vitals and give injections, among other things.